About a month or so ago I got an email from a member of Stunthangar who's name was familiar from reading posts, but as far as I knew, had never had contact with. So, he tells me he's one of my Video hangout viewers that has never joined live because his shop is such a mess it would have been embarrassing. Those that don't join live can watch the show as it's being broadcast and recorded by YouTube, and if they desire, can communicate with us via Text Chat box on the 'Tube watch-page, and not necessarily with a recognizable name. His email goes on to tell me that he likes to watch us, and as a token of appreciation for keeping the C/L community together and promoting comradery, wants to send me a "Little something he's sure I can use." Well, I told him I love finding out who some of my anonymous viewers are, and thanks so much for the generous gesture. And also that we don't mind messy shops either, Lol. So with anticipation, I started watching the mailbox for a parcel of airmail. After a while, I figured he's as slow as I am at sending these sorts of things to other modelers, and didn't worry too much about it. Well, then... one day last week I pulled in the driveway and saw a 6' tall, 24" wide box leaning against the front door. I dragged it inside and looked it over. It had "Fragile - Aircraft Parts" written in Sharpie all over it. The return address was Tom Luciano from New Jersey. Jeez, I'd been expecting something that would fit in my pocket... a little something, he'd said. I got my little Bison-horn knife with its razor sharp 2" blade and carefully removed the paper wrapper exposing an unmarked heavy duty cardboard box with packing tape around its glued-shut flaps, 3M-77, I'd guess. I couldn't budge the seams, so I went to the shop and got my box cutter and continued carefully to work my way through the layers of the toughest cardboard I've ever seen. It became a fight I wasn't going to lose. What the hell is in this box!?! Finally, after what seemed like 45 minutes, it was finally open, and I had to take a break, sitting on a foot stool, looking at the contents with my mouth slack-jawed. Tom had cut some stiff heavy duty insulation into perfect 1x4 lumber sides and slotted cross members, securing it with long wood screws into a framework retainer for the precious cargo. And precious it was. Back story: Robert(Sparky) Storick, the owner of Stunthangar had built six VooDoos this summer while a group of us watched and learned via the Video hangout show. The older Super Satan had come up in discussions and I'd commented I always wanted to build one... y'all know how I blab off like that. So, now can you guess what was in the box?......The first plane Tom built after a long hiatus from Control Line, while flying RC. In the field back in Jersey. Ken can help name the other faces, he's in a few pictures I've seen with this plane, and There is a video of Shawn Cook flying it. That's Tom in front. Again I forget the names. Larry Scarinzi is top left, I think? I'll get it ready and take it to Huntersville. Mike Londke can test fly it for me, and as for me flying??? gameday decision. We'll see. This is all pretty cool, and I certainly appreciate the gratitude offered by so many who watch my show and know me from my short time in my public C/L life. It makes me feel good that what I do matters, but I'm just having fun however I can, like everybody else. What an awesome gift. The Super Satan has been on my build list for a while. Rusty, that's very cool. Tom is a terrific guy and this just supports that. He's a amazing builder/finisher. Larry Scrarinzi is another one of the greats of this hobby. Larry loves it when Shawn and I make a appearance, he taps me on the side and suggests we get out the fast stuff. Larry always has stories and you never tire of hearing the ones you heard before. All of us generally go out to lunch afterwards. Bob Hunt usually joins us as well. Looking at the top photo, the girl standing next to the fence is Jennifer Fedorick standing next to Bernie Shumanski. If you recall, Jennifer was at Watt's house the last time I made it to Huntersville and she was there with bandages around her head. Sadly Jen passed away, she was a lovely person. Tom Hampshire is on the far left. Tom is legendary in the stunt community and was very good friends with Allen Brickhaus. Larry is in the Orange and Green jacket with Tom Luciano's father next to him. The lower picture is Larry on the left holding one of his original Super Satan's. Tom is kneeling with one of his latest carbon veil version Satan. I believe the fellow to the right of Larry is Oklahoma's Andre Mingliano aka Andre Ming former Fox employee. Andre is a huge combat fan and he worked with Duke on certain combat and rat race engines of the 70's. Al Ferarro also ( Not pictured) was there on that meet and he as well had two Super Satan's. That day was special as the naysayers claimed that the speeds associated with the Super Satan were inflated for magazine articles. Al's Super Satan not once on that day but a few times flew in excess of a 120 mph. Claims like this were said impossible for those years. It was said that speeds like this couldn't of been achieved until the 70's. I witnessed it and several timers were there to confirm it. Line lengths were checked, planes, weighed and back to back flights were done just like Larry did in the 60's. Larry didn't fly that day at least not for speed flights. Larry is a amazing flyer for someone in his mid 80's. He's no slouch and without a shadow of a doubt, he could still fly that plane today as he did in the 60's. They even used the Fox fuel "Blitz" which I believe is in the 50% nitro range. I will be attending this years events next month. I'm really glad you have this. Tom built the plane, I can recall during this build though Larry had a lot of input into it. 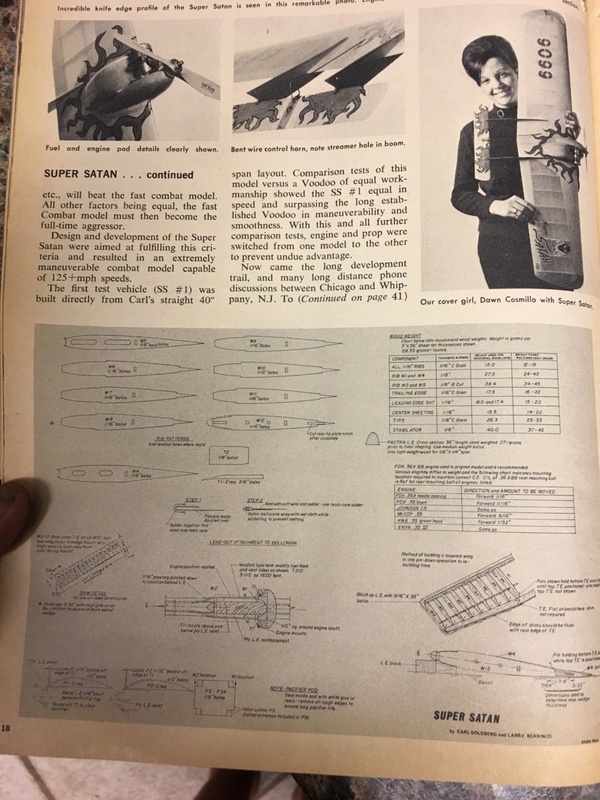 Larry's planes utilize plastic bowling ball pins that were vacuum formed and cut in half for bladder compartments, try finding one of those today. Thanks for your replies, Ken and Ron. Engine found! Tom and Al Ferarro are building me one for it. It should be in my hands in 2 weeks. They are both regulars on our show, and Bob Hunt has been joining us lately too. Good times. I suspect that Mr.Luciano had as much fun and satisfaction in packing and sending the Super Satin as you did in receiving it. Despite what's portrayed in the media, the world is full of nice guys. Very Cool !! Rusty thats one wonderful gift , i am a believer that if you give you get and most time this is true for me and looks like it has worked for you as well . WOW!!! Severe Cool!!!!!!! Good guys all around !!!!!!!! Haha, Severe Cool is right, Kim. I agree with Bob and Eric too, I think there are more fine people in the world than our news, TV, and internet make it seem. To severely cool people DILLY DILLY! That’s the way to ship an airplane. Wish I could have seen the outer package. I have been wanting to send you that Flite Streak, but have been wary about the packaging. Now I have an idea of what to do. I see you have the F’d Twister all fixed up again. Heck i would have like to see Rusty bring that bad boy in the house 6' tall 24" cross !! I hope Al or Tom put the trademark signage on the .36X which is the intake filed to the side. The intake looks like a elongated diamond. A Larry Scrarinzi modification which he did on his LS engines. Larry would engrave LS and usually a lightning bolt on them. Just for you Rusty, I have every issue of M.A.N. From 1960-1969. 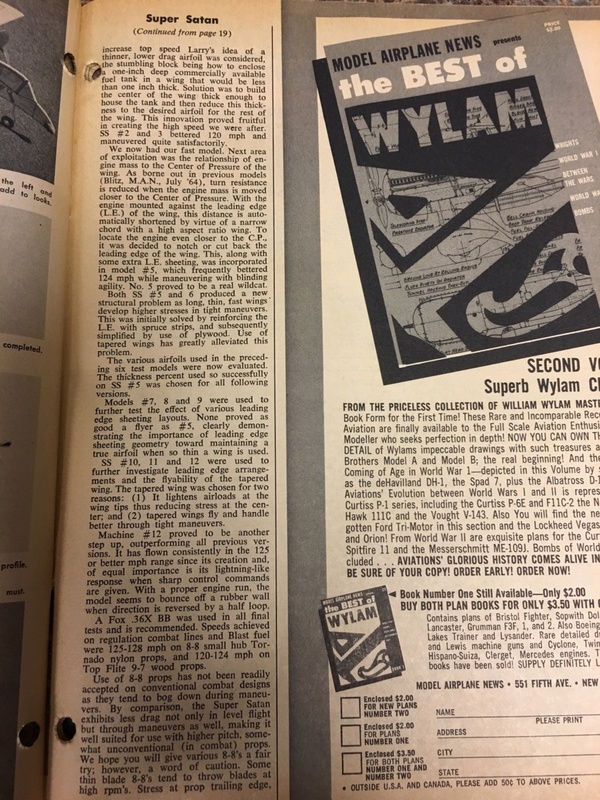 This is the Sept 1967 issue. Enjoy! Congrats Rusty on the very nice gift from Tom Luciano. You got a real prize engine and all. Also I marvel at the painstaking care taken to ensure that the package arrived safely despite sometimes rough handling by the parcel carriers. That is a really nice Fox .36X powered Super Satan. You'll need to provide a flight video of it in action. I'm sure it will be a dream to handle. roddie wrote: SUPER COOL Rusty!!! GallopingGhostler wrote: Congrats Rusty on the very nice gift from Tom Luciano. You got a real prize engine and all. Also I marvel at the painstaking care taken to ensure that the package arrived safely despite sometimes rough handling by the parcel carriers. That is a really nice Fox .36X powered Super Satan. George, It was the most impressive packing job I have ever seen. That plane meant a lot to Tom, and now it means a lot to me. I hope some day I can pass it on to some aspiring pilot... maybe in person. Or I'll have to build an equally rugged crate for it. 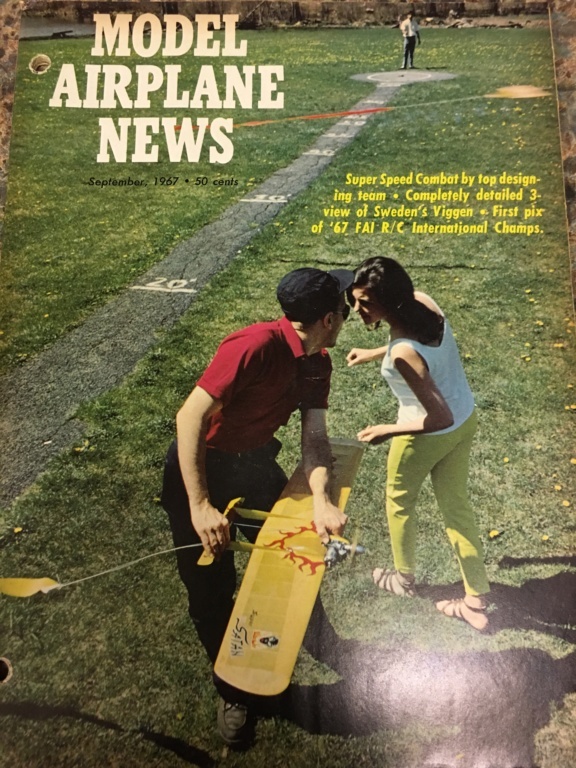 Speaking of which; Ron, you mentioned shipping your Flite Streak. I appreciate that, but don't worry about it, you may recall(I think I posted it), Watt gave me a brand new Streak kit at Duck's meeting last month. Now, all I have to do is build it. Tomorrow I'm planning on framing up the Cardinal wing, so look out for a new installment to that build thread. I'll most certainly get a camera on the Satan flights. I wouldn't miss that for the world. I bet it will be a dream to handle. I just better make doggone sure it's a Lucid dream, Lol. George, have you ever met any of these Super Satan guys, Larry Scarinzi, Tom, or Al Ferarro? I have not met Larry, and Tom and Al are fairly new friends of mine through the Stunthangar Video Hangout show. Oh yeah, Ron, thanks for the magazine article. I made a folder for it and I'm reading it right now. Looking over the You Tube vids from a few years back I found this one . Shawn at 2:29 is flying a Demon with a Fox MK III against a Voodoo with a Fox MK IV. Larry Scarinzi is flying one of his Super Satan's at 3:00. The video is cool and it brings back good memories. I was looking at the Super Satan Larry's holding and noticed it looked very much like the one in the article, so i put together the photo... then i read your post. oops, oh well i'll post it anyway...pretty cool! Mark, the dope they used came from a airport near Union New Jersey. Larry's planes still retain their shine and integrity after all they years. Truthfully, some of them look like they were built recently.The company that made it is long gone. Many present commented on how well it worked and how little it cost. 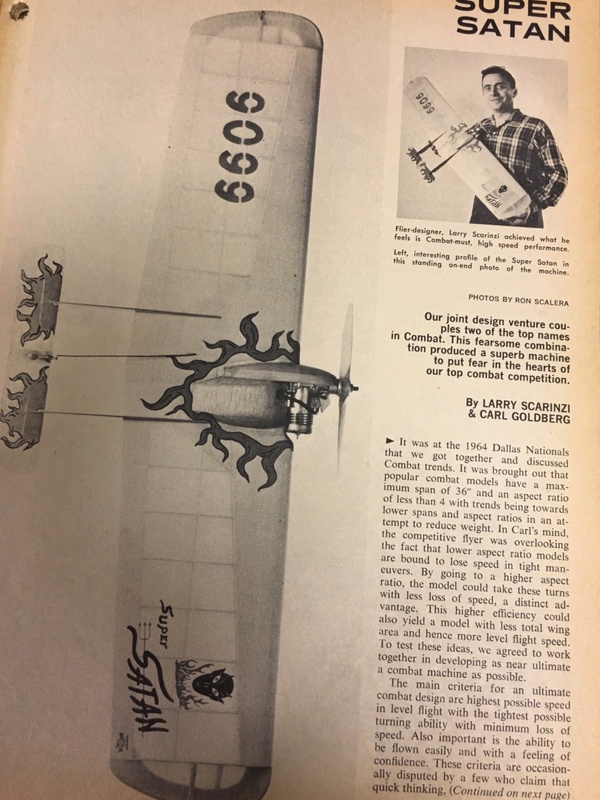 The Union Model Airplane Club purchased it in a 55 gallon drum and distributed among each other. I'm glad I could post something of interest for you guys I'm looking forward to getting the engine bolted on and providing some more entertainment. Thanks for all of y'all's attention to the historic details too. It's good to keep that part of it with the model. Ken Cook wrote: Mark, the dope they used came from a airport near Union New Jersey. Larry's planes still retain their shine and integrity after all they years. Truthfully, some of them look like they were built recently.The company that made it is long gone. Many present commented on how well it worked and how little it cost. 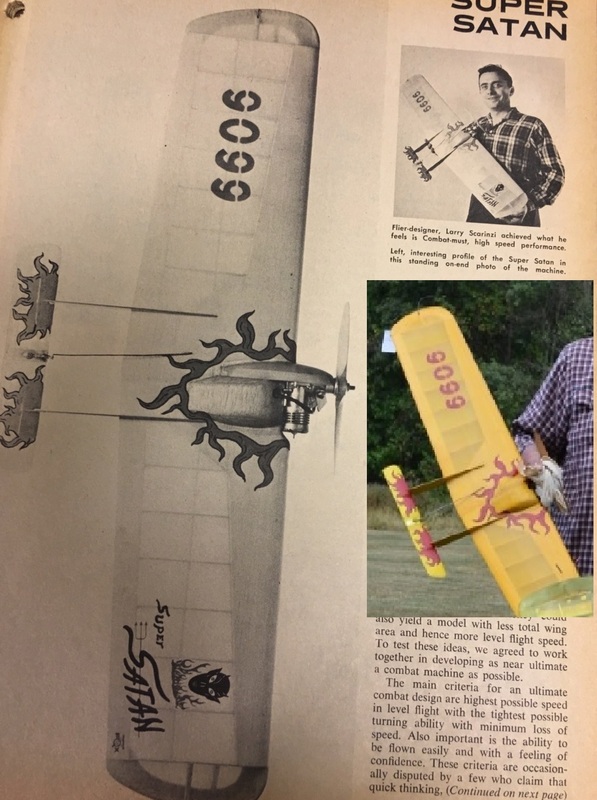 The Union Model Airplane Club purchased it in a 55 gallon drum and distributed among each other. 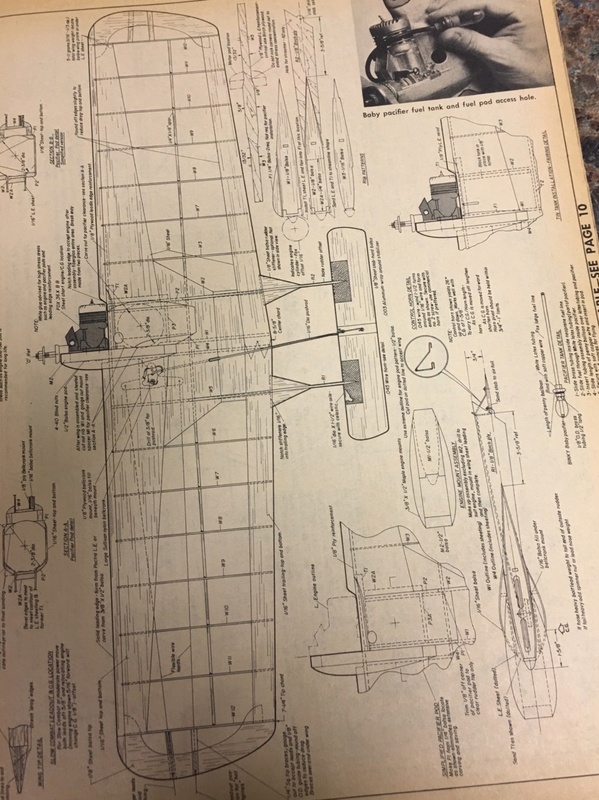 In jr. high i built a banshee with Sig dope and in the early eighties i decided i wanted to get'er airworthy, as the silk span on many of the rib bays was punctured. The dope had shrunk so much that all the ribs and control surfaces were badly warp...of course back then filler coats were more layers of paint. 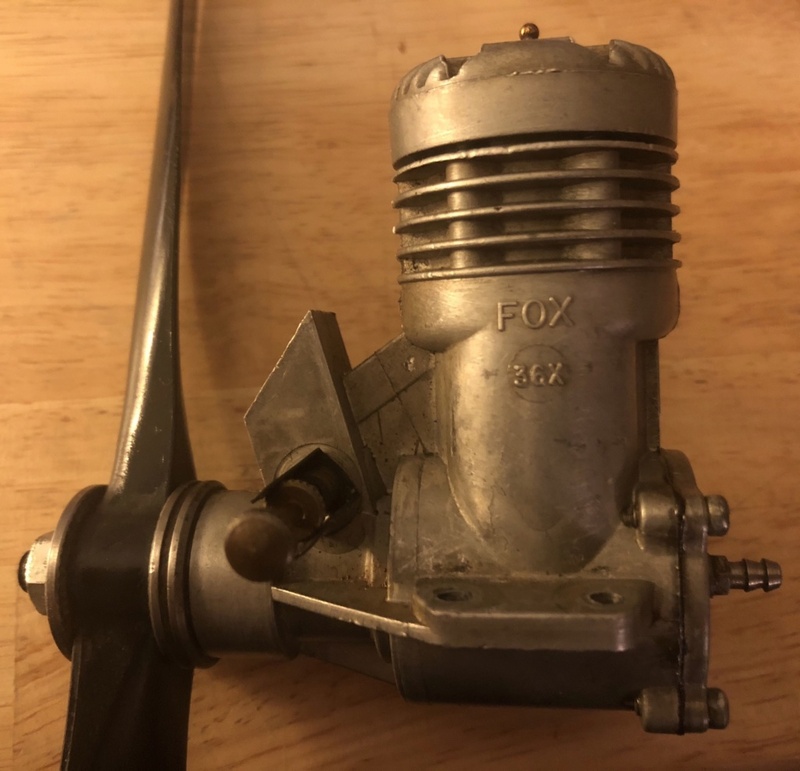 Someone mentioned the need for a Fox .36X? Thanks for the offer, Jason, I must've missed it. But these guys have been on it since day 1. I'm still using other great stuff you've supported my hobby with, so for that I also thank you. Tom, as well as Al Ferraro and CT Schaefer collaborated to fix this one up for me. It came in the mail today. They flew it last Sunday in a pouring rain and managed 108 mph out of it on another Super Satan. And that was low 10% nitro stunt fuel. I love that diamond bevel on the intake. After seeing this thing and drawing blood popping it over in my hand, I'M STOKED! It would fly pretty good on a Flite Streak too, I bet, Lol. I knew, "academically" what a pacifier bladder was, but this is the first time I've seen one IRL. Now I know what it is.